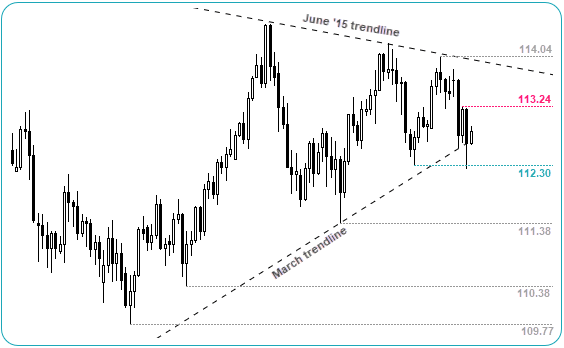 After coiling and failing to break above the June ’15 trendline, JPY is attempting to break the March trendline. The bias is for a move towards 111.38 whilst 113.24 caps as resistance. Expect the pair to be sensitive to today’s NFP report and any US-China trade headlines. A bearish breakout has invalidated a bullish channel. We’d like to see prices consolidate before its next leg lower. 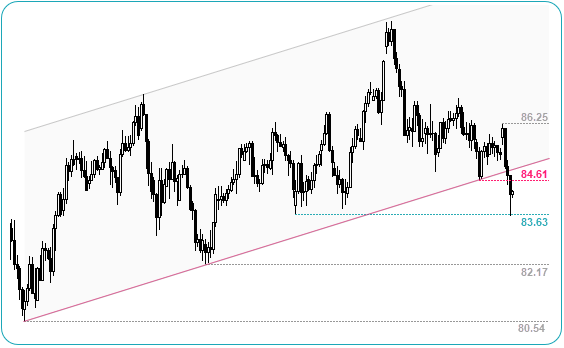 Look for 84.61 or the lower trendline to cap as resistance. A break beneath 83.63 brings the 82.17 and 80.54 lows into focus. Keep an eye on CAD employment figures alongside NFP. 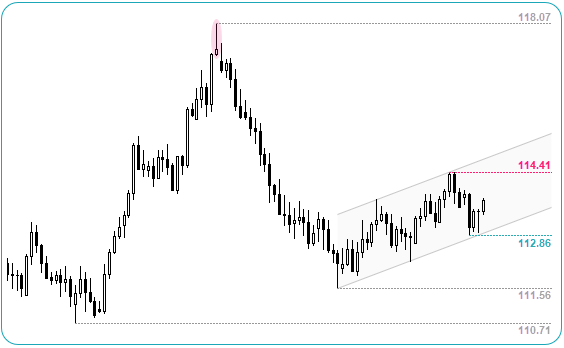 Near-term momentum favours bullish setups within the ascending channel. However, a stronger downtrend has dominated momentum since a bearish pinbar high. Target the 114.41 high or upper trendline whilst within the channel or wait for a break of 112.86 to confirm resumption of its downtrend.